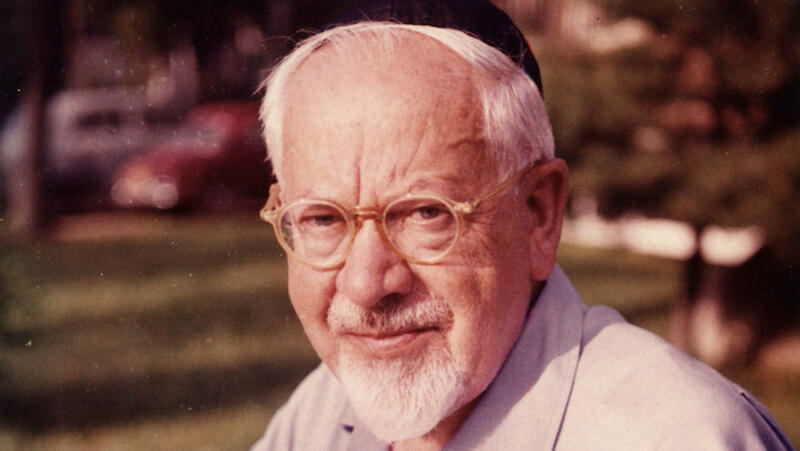 The smallest of the four branches of American Judaism, Reconstructionism, originated in the philosophy of one individual — Mordecai Kaplan. Kaplan believed that Judaism was a “religious civilization” emerging from the history and culture of the Jewish people. As a “civilization” it was constantly evolving, and it was the goal of Jewish thinkers at any given time to interpret Judaism in the light of contemporary life and thought without abandoning its traditional values. The beginning of Reconstructionism can be dated to 1922, when Kaplan founded the Society for the Advancement of Judaism, a synagogue in New York City. Kaplan gathered Jews who were disaffected with other congregations and committed to “reconstructing” American Judaism so that it spoke more meaningfully to the 20th-century world. Synagogue members were encouraged to interpret Jewish tradition freely and to create a more democratic institutional life. Kaplan rejected the notion that the Torah and the Talmud had been revealed by God at Sinai or that halacha (Jewish law) served as an absolute binding set of commandments. Instead, he argued that the development of Jewish belief and practice had always adapted to ever-changing social conditions, political changes, and cultural influences. In essence, Kaplan’s goal was to build a civil religion for the United States, with American culture rather than biblical tradition as the primary transmitter of Jewish religious values. He believed that Jewish Americans lived in two civilizations. His Reconstructionism sought to promote a blending of American and Jewish values. In this respect, he can be equated to the American Zionists of this period, most notably Louis Brandeis, who believed that organized Zionist movement needed to be filtered through the prism of American constitutionalism. Kaplan believed in the urgency of “reconstructing” Judaism precisely because of the radical dislocations in Jewish life as a result of the Enlightenment, the political emancipation of the Jewish people, and modern technological advances. Although he believed the modern West had much to offer Jews with respect to reconstructing Jewish civilization in accord with American democratic values, he viewed the Roman Catholic Church rather than American Protestantism as a model of group cohesion for Jews. In 1934 Kaplan published his highly influential book Judaism as a Civilization, considered by many to be one of the major 20th century works of Jewish thought. The positive reception of the book led to the establishment in 1935 of The Reconstructionist magazine, edited by Kaplan and then subsequently by his preeminent disciple and exponent, son-in-law Rabbi Ira Eisenstein. More controversial have been the Reconstructionist liturgical texts, The New Haggadah (published in 1941) and The Sabbath Prayer Book (published in 1945), which altered the working of the traditional Hebrew text, substituting alternate wording for phrases referring to the chosenness of Israel, the resurrection of the dead and the Messiah. The Reconstructionist movement had at its core the stated belief that God could not literally choose one people over another and that the idea of privileged access to God promoted dangerous feelings of superiority. Kaplan instead argued that all peoples and civilizations had equal access to the divine, and he was willing to embrace the belief that non-Jews could also operate as transmitters of religious ideals. By defining Judaism as a “civilization” Kaplan made it into an all-embracing way of life that includes languages, literature, food, customs, civil and criminal law, art, music, food—all elements of any civilization but elements usually considered secular. This definition encouraged Jews alienated from traditional theology and practice to become part of the movement. As a result of the belief that American Jews lived in two civilizations, Kaplan and his followers believed they had a collective responsibility to speak out against social and economic injustice in contemporary society. The pages of Reconstructionist magazine have historically taken strong positions criticizing American militarism, unfair labor practices and institutionalized racism. At the same time as the Reconstructionist Movement embraced a universalistic vision, Kaplan also deeply believed in developing both Jewish unity and a Jewish civilization and was a strong supporter of Zionism. Although critical of both the secular/religious dichotomy in Israeli society and of Israel’s foreign policy, he made aliyah late in his life and lived in Jerusalem. Kaplan saw no need to start a separate movement to achieve his goals. His goal was to create a unified American Judaism without denominational factionalism. However, it became clear to his followers that, if Kaplan’s visions were to be realized, a separate movement was needed. In 1940, the Jewish Reconstructionist Foundation (JRF) was established to support the works that promoted the Reconstructionist program. In 1954, the SAJ joined with three other synagogues to form to Reconstructionist Federation of Congregations as the synagogue arm of the foundation. The organization grew at a gradual pace throughout the 1960s and 1970s under the leadership of Ira Eisenstein and Rabbi Ludwig Nadelmann. It then doubled in size in the 1980s under the direction of Rabbi David Teutsch. In 1968, the Reconstructionist Rabbinical College was founded in Wyncote, Pennsylvania, with Eisenstein as its first president. The decision to found the college can clearly be seen as a move by Eisenstein and other Reconstructionist leaders to officially “found” a fourth alternative in American Jewish life. Note: In 2018, the movement announced that its congregational arm would henceforth be known as Reconstructing Judaism. The movement’s seminary, which is located in suburban Philadelphia and was formerly known as the Reconstructionist Rabbinical College, announced that it would change its name to the College for Reconstructing Judaism at the close of the academic year. The movement has been in the leadership on Jewish identity issues. It pioneered the adoption of patrilineal descent and warmly welcomes intermarried couples. The College officially announced in 1984 that it would admit qualified students who are open about their gay or lesbian sexual orientation, and this position was subsequently adopted by the Reconstructionist Federation of Congregations and the Reconstructionist Rabbinical Association, which was founded in 1974. The movement has always been at the forefront of the movement for the equality of women in Judaism. Kaplan’s daughter Judith had the first bat mitzvah in America (in 1922), and Kaplan firmly believed that “The Jewish woman must demand the equality due her as a right to which she is fully entitled.” One of the first graduates of the Reconstructionist Rabbinical College was Sandy Eisenberg Sasso, who achieved rabbinic ordination in 1974. Although the Reconstructionist movement in the United States has never been large, it has had a vital importance to American Jewish life. In its attempt to reinvigorate and transform Judaism for a new generation, Reconstructionism has provided a new awareness of the importance of Jewish renewal and understanding. Reprinted from the American Jewish Historical Society’s American Jewish Desk Reference: The Ultimate One Volume Reference to the Jewish Experience in America, published by Random House.